If you are among those for whom having breakfast is difficult in the morning, why not stay in one of our apartments. You will not be disturbed by us making your beds or us cleaning your room. 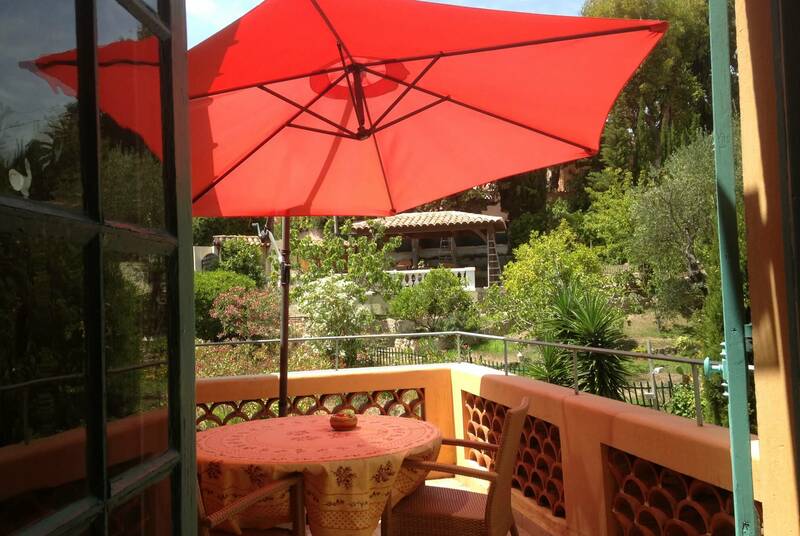 You will have your privacy but benefit from this privileged place on the Côte d’Azur. 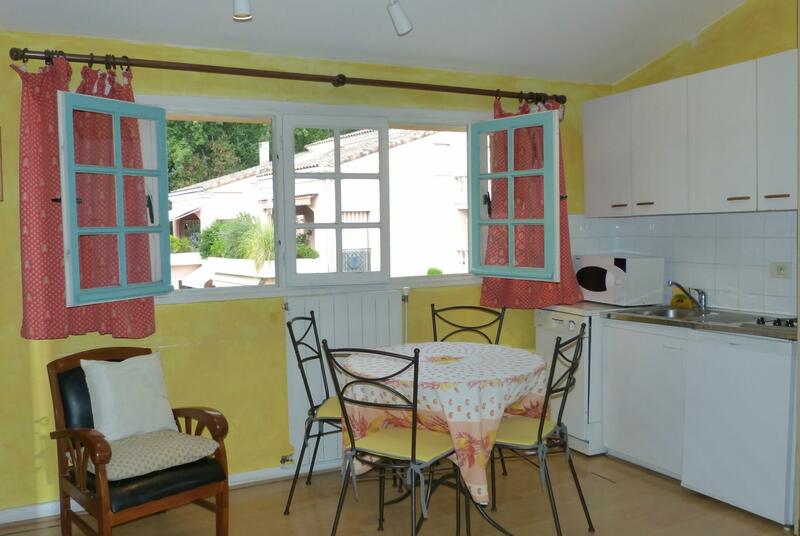 We now offer 2 apartments Dufy and Bonnard as part of our holiday rentals. These 2 rooms can only be rented over the high season as apartments. In low season, you can choose to stay in the bedrooms as part of our bed and breakfast service or rent them as apartments. You can arrive on Saturday and your accommodation will be ready to welcome you: clean, made beds and towels in the bathroom. The following Saturday, you are required to clean (equipment available) before 11am. If you do not want to spend time cleaning it there is a 20€ cleaning charge will be asked for this work that we will do for you. Meanwhile, you will have spent a relaxing holiday in our little paradise with access to all amenities: garden, swimming pool, games room and secure parking. Abbiamo passato 2 settimane ad Agosto . Mio marito, mia figlia di 7 anni e io. La nostra camera con soppalco, kitchenette e terrazzino privato si è dimostrata molto comoda , anche perché, per cena se non sivuloe prendere l’auto o se i piccolisono stanchi, poter preparare qualcosa è unagran comodità. La villa è bella ed il giardinoè magnifico. Accogliente la piscina anche perché difficilmente ci si fermava in molti. Molto apprezzati il pianoforte ed il biliardo. Marie-Paule e Didier mettono a disposizione anche tanti giochi e le costruzioni per i bambini… Grazie per la bella vacanza. 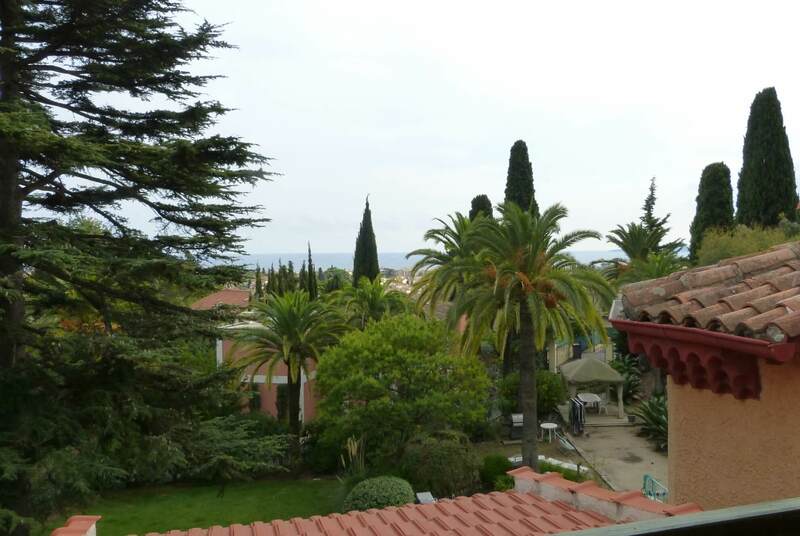 550€ for 2 to 4 people, rented from Saturday until Saturday. Small family apartment that can accommodate up to four people. Downstairs, the bed for parents, upstairs a small room with two beds for children (the cabin). Everyone finds tranquility their intimacy. There is a small well-equipped kitchen and a beautiful terrace that completes the comfort on vacation for the happiness of the whole family. The terrace is a major advantage. No more going out every day with the kids. The restaurant will be only occasional since everything is planned to prepare your meals at home, including the barbecue in the garden. 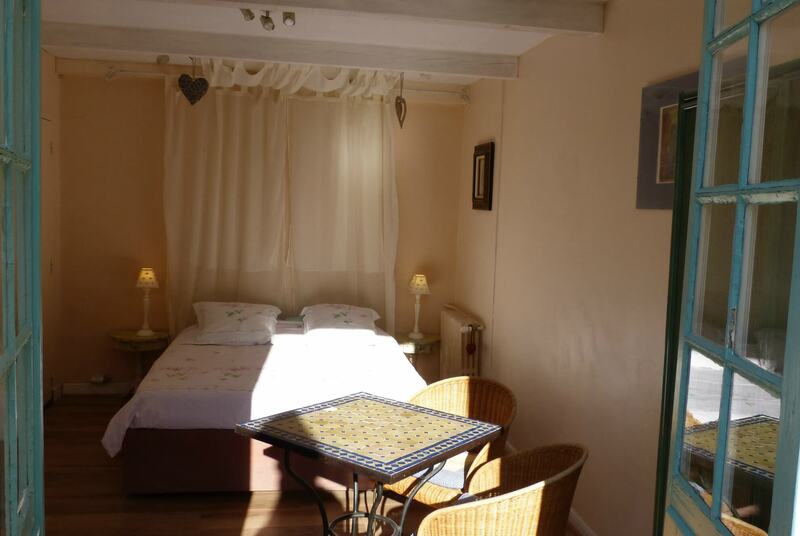 Facilities: double bed or 2 beds, round table and 4 chairs, 2 armchairs, wardrobes, television, air conditioning. Kitchen area with 2 hobs, microwave, dishwasher and fridge. Mezzanine with 2 beds, shelf, chair, fan. Terrace with round table, 4 armchairs, parasol. Independent entrance and small private bathroom with shower, sink and toilet. Would you like more information about our self-catering rentals or to book your stay? 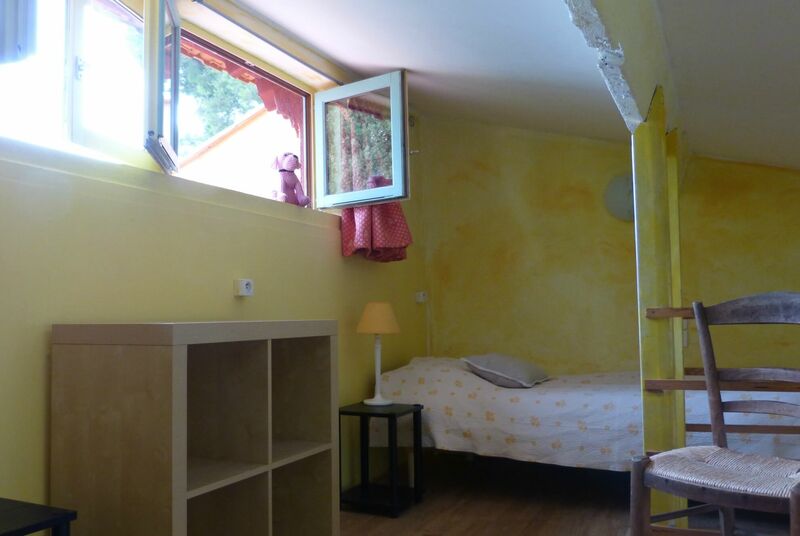 500€ for 2 people, renting from Saturday until Saturday. Small studio west side of the house. This room is one of the most popular of the house, with its beautiful terrace and kitchen area. An independent entrance, a comfortable bed and the terrace! 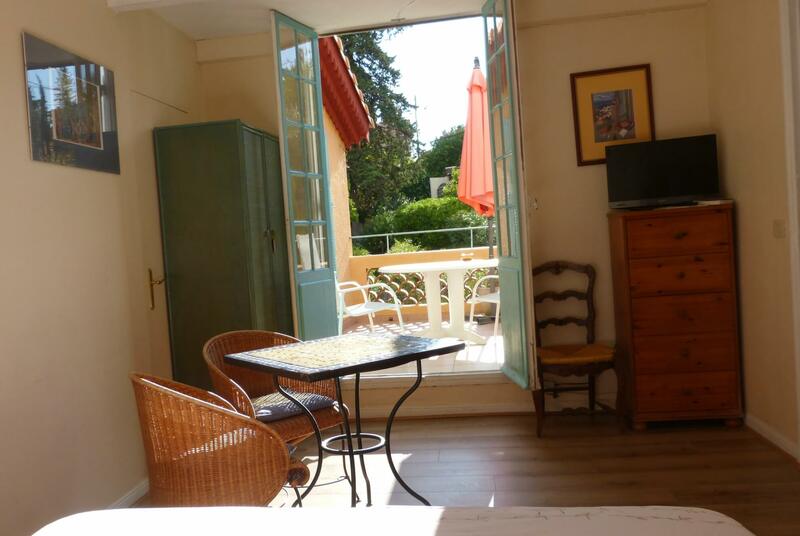 We have 300 sunny days on the French Riviera, so many days to love this room! It’s so good to settle on this large terrace and enjoy the beautiful view of our gardens. Go for a walk or have a swim in the pool and then come back to your private apartment for a little salad of fresh tomatoes or melon and ham. 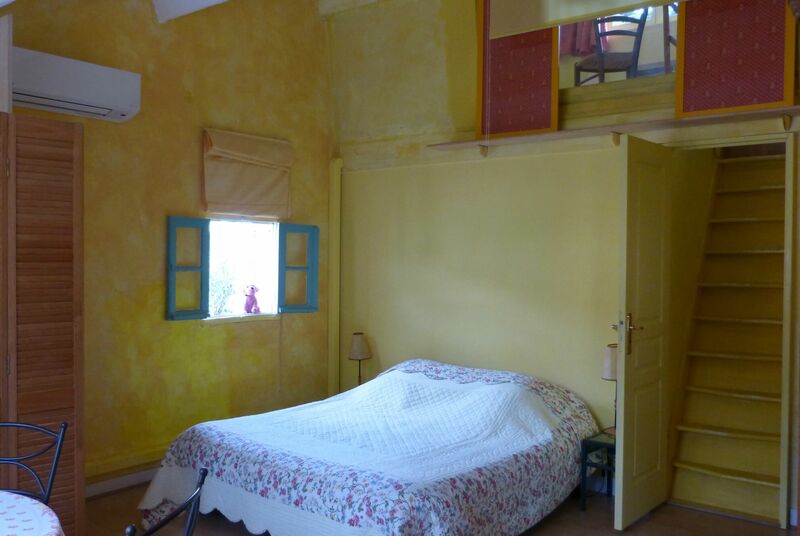 Facilities: 1.60m / 1.90m bed, wardrobes, chest of drawers, small table and 2 chairs, fan. Small kitchen with 2 hobs, microwave, dishwasher and fridge. Terrace with round table, 2 armchairs, parasol. Independent entrance and small bathroom with a shower, sink and toilet.